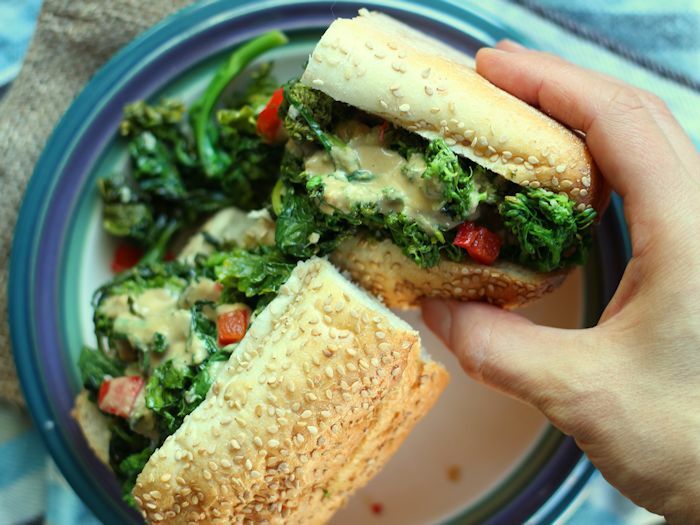 This toasty broccoli rabe sandwich is stuffed with spicy, garlicky greens and topped with smoky vegan tahini sauce. My husband teases me about my tendency to appear at any time, any location in the house with random and unexpected food for sampling. It’s true. He could be at the computer checking email and I’ll shove a spoonful of soup into his face, or upstairs shaving and I’ll appear with doughnuts. 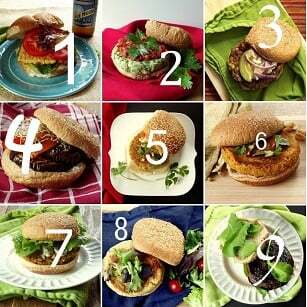 Hey, a food blogger needs a taste-tester, and don’t get me wrong, he’s happy to fill that role. It was a few weeks ago when I first made this sandwich, and I didn’t even make it for the blog. I had some leftover broccoli rabe from another recipe (forthcoming!) and I was hungry, but not quite hungry enough to finish a whole sandwich myself, so I interrupted whatever it was he was up to at the time to push half a sandwich on him. I knew within two minutes or so, based on his enthusiasm for this delicious sandwich, that it might need to be remade and photographed for the blog. A few minutes later I finally got around to tasting my own half of the sandwich and knew this had to happen. This sucker was good. 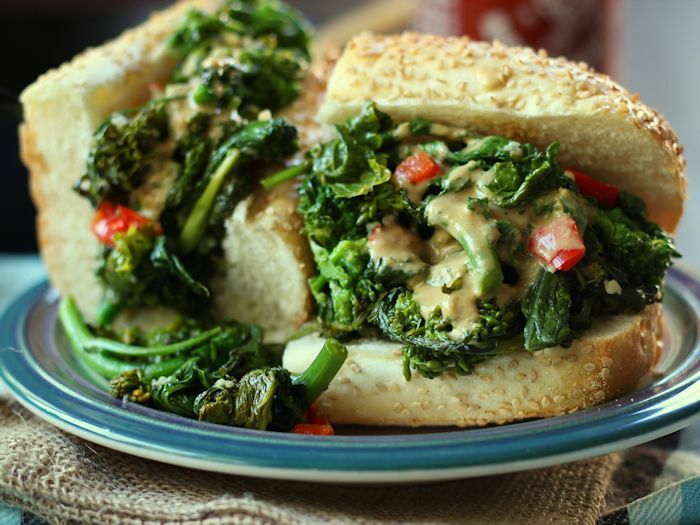 If you like broccoli rabe, make this. 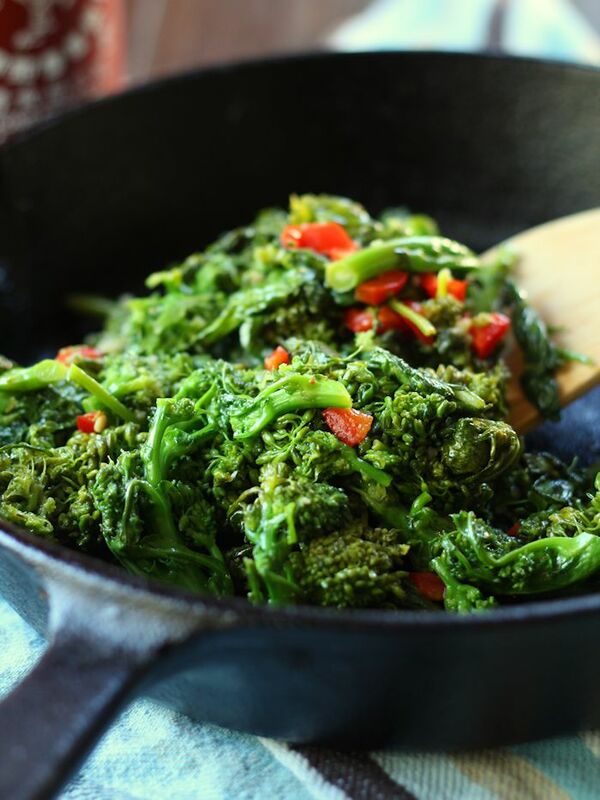 (And if you don’t like broccoli rabe, have you tried the stuff?) It’s juicy, garlicky, hot and packed with all kinds of flavor. I realized at some point after making and eating this that I may have subconsciously recreated a similar tasting sandwich I’d gotten years ago in Philly that was made with spinach and provolone cheese. That was an Italian Market deli sandwich, and it was cold, which is fine (and I’m sure this sammie would be good cold too), but when it’s October and you have a chance to eat your garlicky greens hot off the skillet, you do just that. This sandwich is also (perhaps optionally) hot in the spicy sense. Interestingly enough, for the first non-blog version I got a cherry pepper that was pretty potent, and for the second one, not so much. Lesson: always keep hot sauce on hand for such instances. Or just skip the pepper and spice it up with as much sauce as you’d like. Place oil in large skillet over medium-high heat. Add garlic and cherry pepper. Sauté 2 minutes. Add broccoli rabe and sauté about 3 minutes more, or until desired tenderness is reached. Remove from heat and season with red wine vinegar, salt and pepper. Whisk all ingredients together in small bowl, using as much water as needed to reach desired consistency. 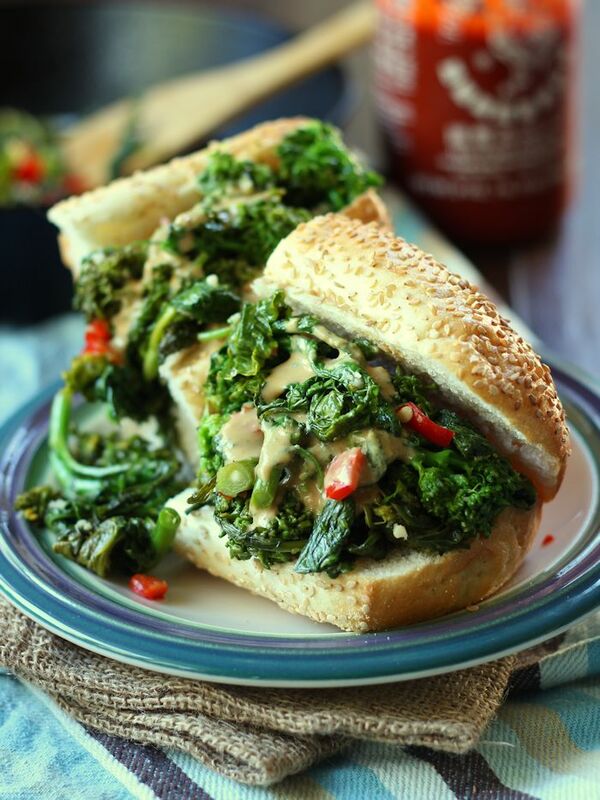 Stuff rolls with sautéed broccoli rabe and drizzle with tahini sauce and hot sauce, if using. Serve. Ho-lee this looks good! I’m not much for cold vegetables or salads these days, but a hot broccoli sandwich? This is calling my name! Thanks for the recipe, will be making this for sure. The tahini is the best part! When you pour it all over garlicky greens it really tastes pretty darn cheesy. Thanks Caitlin! I hope you love it as much as I did!